Dambulla cave temple also known as the Golden Temple of Dambulla is a World Heritage Site (1991) in Sri Lanka, situated in the central part of the country. 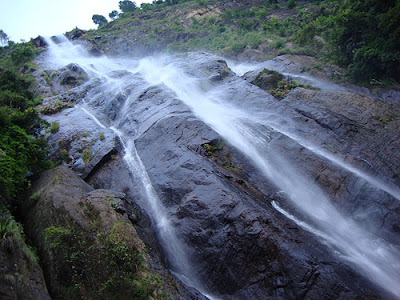 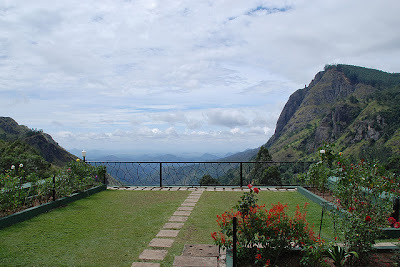 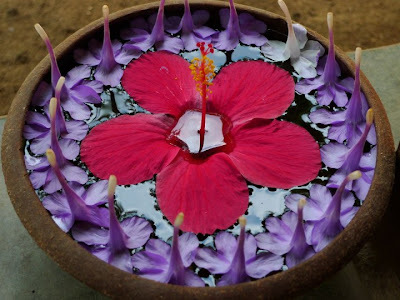 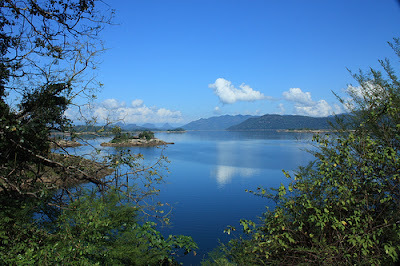 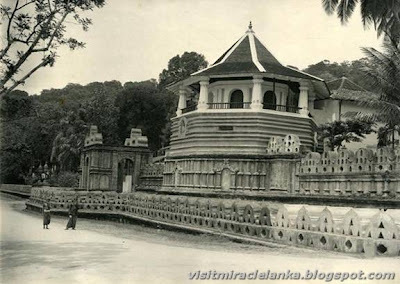 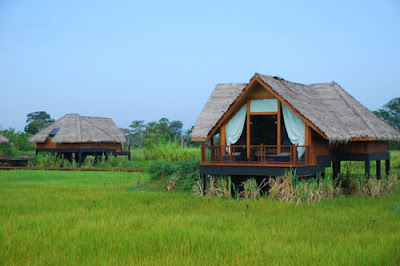 This site is situated 148 km east of Colombo and 72 km north of Kandy. 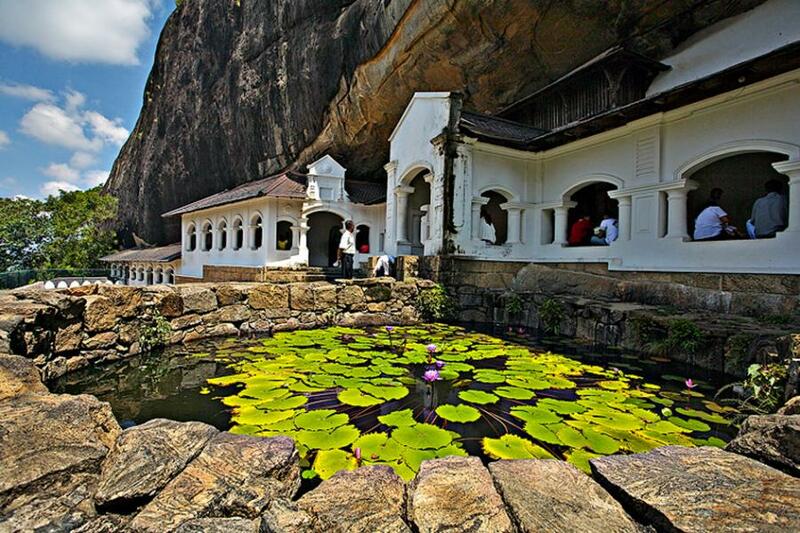 It is the largest and best-preserved cave temple complex in Sri Lanka. 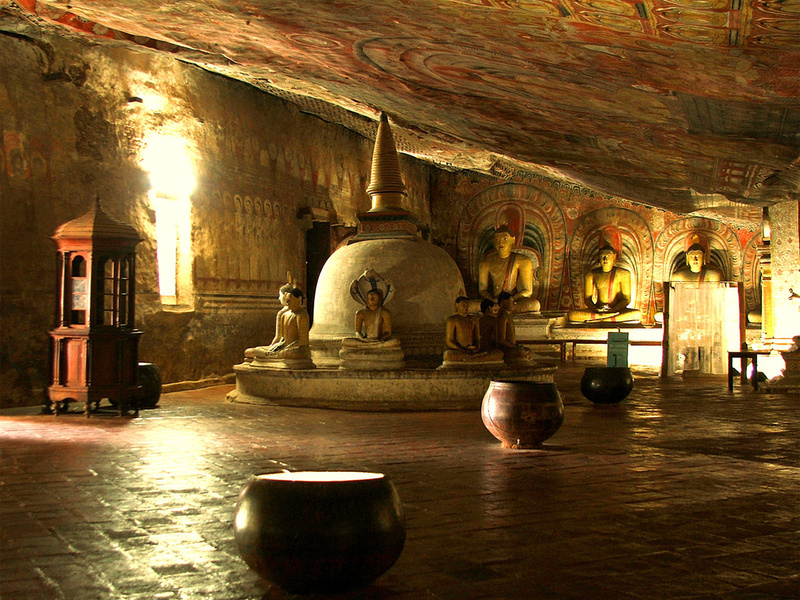 The rock towers 160 m over the surrounding plains.There are more than 80 documented caves in the surrounding area. 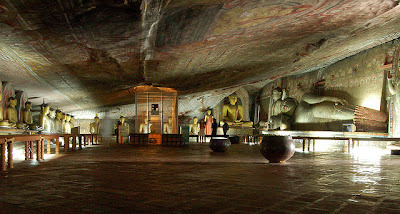 Major attractions are spread over 5 caves, which contain statues and paintings. 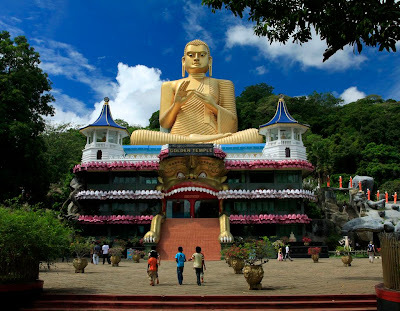 These paintings and statues are related to Lord Buddha and his life. 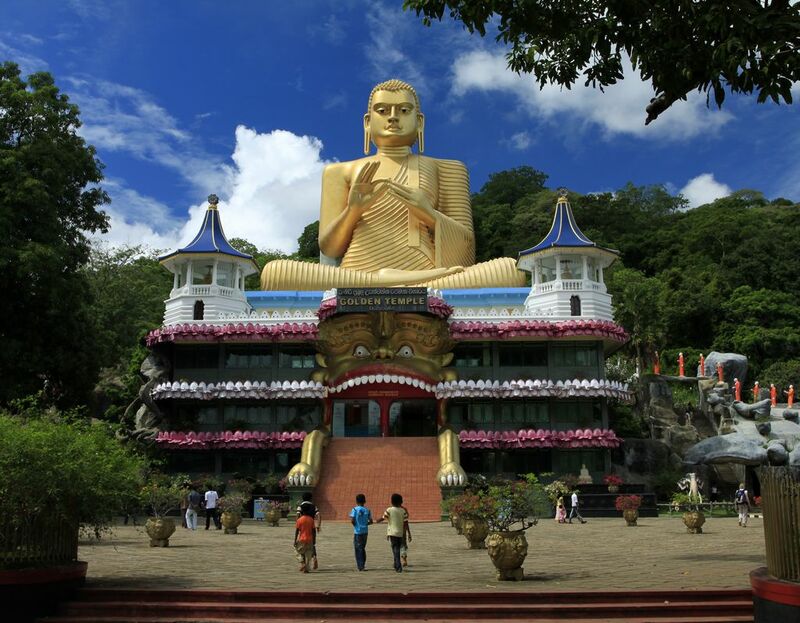 There total of 153 Buddha statues, 3 statues of Sri Lankan kings and 4 statues of gods and goddesses. 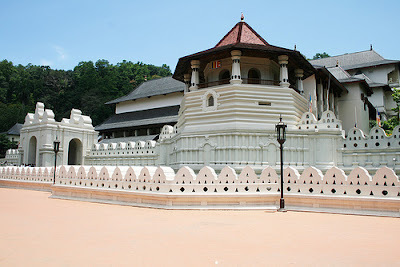 The latter include two statues of Hindu gods, the god Vishnu and the god Ganesh. 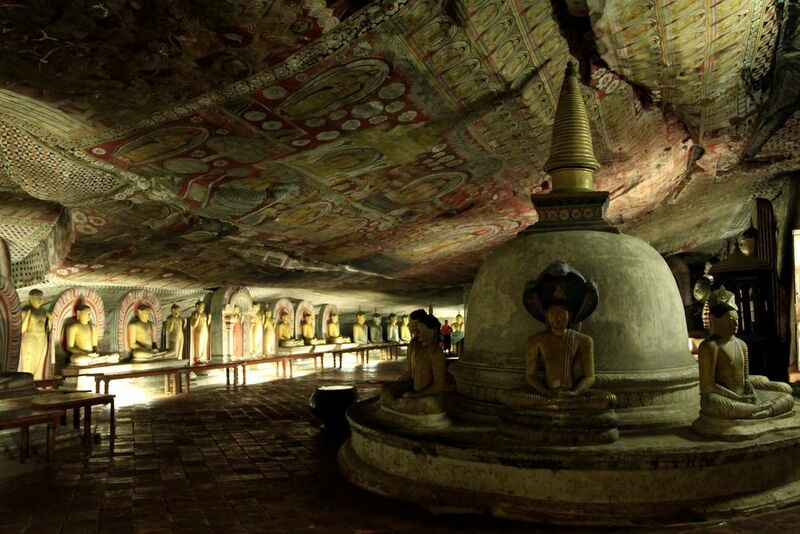 The murals cover an area of 2,100 square meters. Depictions on the walls of the caves include the temptation by the demon Mara, and Buddha's first sermon.